Harvard Business School, Cambridge, Massachusetts, I.A. 1943. Family: Married Patricia Kahan, 1947, children: one daughter, two sons. Career: 1938–40—Skouras Theatres, and with Oriental Theatre Corporation, 1940–42, while in college; 1945—producer, Monogram; 1951—executive producer, Allied Artists; 1957—co-founder, with Marvin and Harold Mirisch, Mirisch Company: served as vice president in charge of production; 1973–77—president, Motion Picture Academy; 1998–99—executive producer, The Magnificent Seven , television series. Awards: Academy Award, for In the Heat of the Night , 1967; Irving G. Thalberg Award, 1977; Jean Hersholt Humanitarian Award, 1982. Address: The Mirisch Corporation, 100 Universal City Plaza, Universal City, CA 91608, U.S.A. Films and Filming (London), March 1972. Screen International (London), 29 January 1977. Film Daily , 28 October 1952. Film Daily , 19 April 1968. 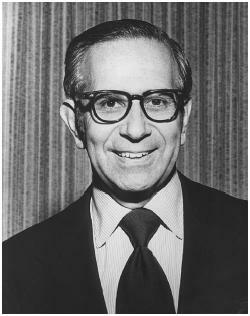 The enterprise and enthusiasm of Walter Mirisch carried his company, The Mirisch Corporation (which he formed with his brothers, Harold and Marvin), through an unprecedented commercial and critical success from its inception in 1957 throughout its heyday in the 1960s and early 1970s. His record as an independent producer is outstanding both as an Oscar winner and as a box-office champion. Mirisch's background is an excellent illustration of the experience needed to become a successful producer. His entry into the motion-picture business came at the bottom level—as an usher in a New Jersey movie house. To this he added a solid education at the Harvard Business School and six years as one of the youngest men in film history ever to become an executive producer at an important studio (Allied Artists). Mirisch consistently and thoroughly learned the business from the ground up. When he ultimately formed his own company, he had been either a consumer, exhibitor, distributor, or producer of motion pictures nearly all his life. Mirisch's career is of particular historical interest in that he represents both the old and new Hollywood. Although he began independent production just when the old studio system began its final decline and Hollywood was facing its more difficult days, his company succeeded. His level of education and independent production status are those associated with the days that followed the final collapse of the old system, but his ability to spot films that would appeal to a wide audience links him to the common touch associated with the old moguls of the 1930s and 1940s. With Walter as chief of production, the Mirisch brothers demonstrated the qualities that made Hollywood what it was in its golden years: courage, independence, taste, and just enough craziness to put it all together and sell it. In order to do this, Mirisch aggressively courted the very best film directors (Ford, Wilder, Edwards, and Wise) and gave them well-written scripts and a first-rate production team. Then he left them alone to do what they did best—make good movies. The Mirisch Company was a well-organized group. It handled all behind-the-scenes business matters with skill, allowing the filmmakers to concentrate on only the film itself. In short, Mirisch accomplished what many today dream of: he ran his business with the efficiency of the old studios, but with the flexibility and daring of an independent unit. The company took the risk, and took it in a wide range of types of films. "We try to make movies that have mass appeal, yet are first-rate artistically and state a meaningful theme," said Mirisch. The hallmark of the films made under the Mirisch banner is the ability to combine high-quality projects (which could win Oscars) with audience appeal. His work is a bright spot for American moviemaking during the 1960s, as his taste, imagination, and good business sense brought out a remarkable string of respected classics: Billy Wilder's Some Like It Hot ; The Apartment ; One, Two, Three (and more); Robert Wise's West Side Story ; Blake Edwards's The Pink Panther ; Norman Jewison's In the Heat of the Night (for which he won the Oscar); and John Sturges's The Great Escape . Mirisch did not follow trends. He made unique projects that were themselves trendsetters, such as The Pink Panther , or were too unusual to be imitated, such as his remarkable string of productions from his long association with Wilder. Mirisch is an example of a type that is more often associated with the late 1970s and early 1980s—the lifelong movie fan who enters the business. Nevertheless, instead of ravaging old movies for plots and remaking the classics, Mirisch signed up the people he had long admired and gave them the opportunity to make films. "To me, good taste means good taste in terms of writing, directing, acting, scoring, editing, and all the other phases of the picture business," said Mirisch, who saw the producer's role as helping the collaborative process to work smoothly. In private life Mirisch is known as a man who is dedicated to worthwhile charities and projects which further the appreciation of American movies. He has received the Irving Thalberg Award and Producer of the Year Award, among many others, and has served as a trustee of the American Film Institute, Filmax, and the Motion Picture Academy. He also as served four terms as president of the latter. Mirisch sums up his outstanding career as an independent producer by saying: "Since my early boyhood, I have been having a love affair with films, and it has been my great good fortune to spend most of my adult life in active pursuit of that affair. My ardor has never cooled, and I trust it never will."